Even as Manchester United secured a 1-0 victory over city rivals Manchester City at Old Trafford to progress to the quarter-finals of the EFL Cup, doubts continued over the form of United’s star striker Zlatan Ibrahimovic. The former Swedish international looked tired and sluggish in the first half of the match, and Sky Sports pundit Jamie Carragher didn’t hold back in his criticism of the striker. Ibrahimovic gave his teammates a few scares in the first half, regularly gifting possession to Manchester City in dangerous areas of the pitch. His most glaring error was when he played a careless pass across the United midfield just seconds before half time, and Kelechi Iheanacho almost went one on one with David de Gea after intercepting the ball. As the score remained 0-0 at the break, Zlatan’s performance was indeed symbolic of Manchester United’s lack of cutting edge in attack in the first half. Ibrahimovic’s main qualities – physical strength and good awareness of space – were what made the difference in the match in the second half as he legitimately muscled Nicolas Otamendi off the ball while challenging for a header, and rolled a pass into the box for Ander Herrera which was eventually slotted into the net by Juan Mata. Manchester United now play West Ham United in the quarter-finals of the EFL Cup, after the Hammers put in an impressive display at the London Stadium to win 2-1 and knock Chelsea out of the tournament. However, the priority for Jose Mourinho would be to first improve United’s league form, as he finds his team languishing in 7th place after already losing to rivals Chelsea and Manchester City, and only managing a draw against Liverpool earlier in the season. 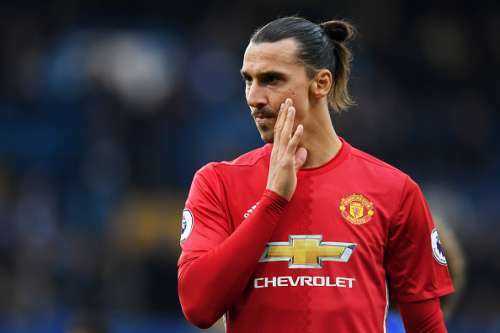 If the Red Devils are to save their already troubled season, Ibrahimovic would need to turn his form around and start banging in the goals once again.